Finding a reasonably priced and decent property to rent in Switzerland can be a formidable challenge. Yet that does not mean you should give up hope, read on as we provide you with a few helpful tips on renting property in the competitive real estate market of Switzerland. Fierce competition in the Swiss market means that many of the properties are taken on a first come first served basis. Nevertheless, this does not mean that home or apartment owners do not look at your portfolio. Many property owners will want to look at your record to see what type of tenant you are. Facts taken into consideration include whether you pay your rent on time, your business and salary record etc. Renting property is very common in Switzerland given the high cost of living in the country. In Switzerland less than 40% of the population own their own home. Rental rates are more expensive in cantons like Zurich, Basel and Geneva; nevertheless they are cheaper in places outside town. Many cantons in Switzerland are becoming increasingly cosmopolitan, the rising increase of newcomers to cities like Geneva and Zurich mean that it would be much harder to find a property to rent. The priciest cantons to rent property in, are Zurich and Geneva, prospective tenants will have to provide as much information as possible as if they are applying for a career. Whether to purchase or rent a property will depend on your own choice, nevertheless renting an apartment in Switzerland might seem like a feasible option. Several apartments have communal parking and green parks surrounding them. Long-term tenancies are common for many apartments some even last 20 or 50 years. Many apartment buildings have a similar sense of community to a suburban neighbourhood. The regular price for an average apartment is CHF 1,284 per month, with an average size of 99 sqm. A detached house in a similar area in the neighbourhood will of course be more expensive. Many areas in Switzerland have multi-family housing, which is shared by a number of families. Multi family homes are more common in places outside town such as village centres and small towns. In Switzerland apartments are described by the total number of rooms, open plan rooms also include the kitchen. Although this might sound a bit confusing most property descriptions will include the total living space and the total plot size of the house or apartment. Once you rent a property, do not expect that it will be furnished, even the light fittings and fixtures are not included. Nevertheless it is imperative on your part to check whether kitchen appliances will be included or not. Most apartment buildings do not have enough space for washing machines; given these circumstances laundry facilities will be communal. You are given a certain time slot when you are allowed to use them. 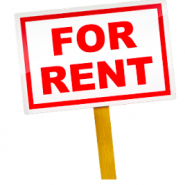 In order to find rental property it is advisable to search online, there are many websites on the Internet that advertise properties. You can also choose to check the local paper or hire a real estate agent. Finding a property to rent will be a challenging and time consuming experience, yet with a little effort and proper research you might be able to secure the house or apartment you have always wanted.